Shape matching games are simple fun for toddlers and preschoolers and good brain teasers helping to develop abstract and spatial thinking. They come in 2 types for different ages, each one helping different stages of thinking. You can also use them for memory games or print multiple sets to play snap! games. 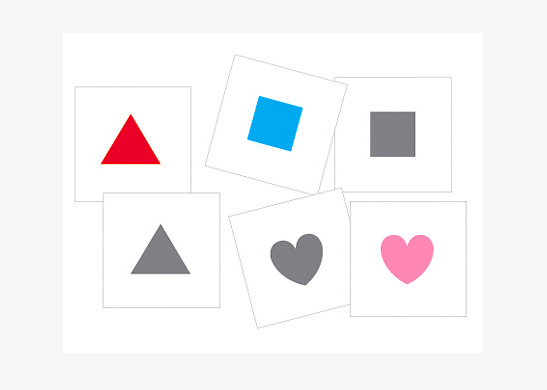 This set has 6 different easy shapes – square, triangle, circle, pentagon, star and heart – in grey and colors. 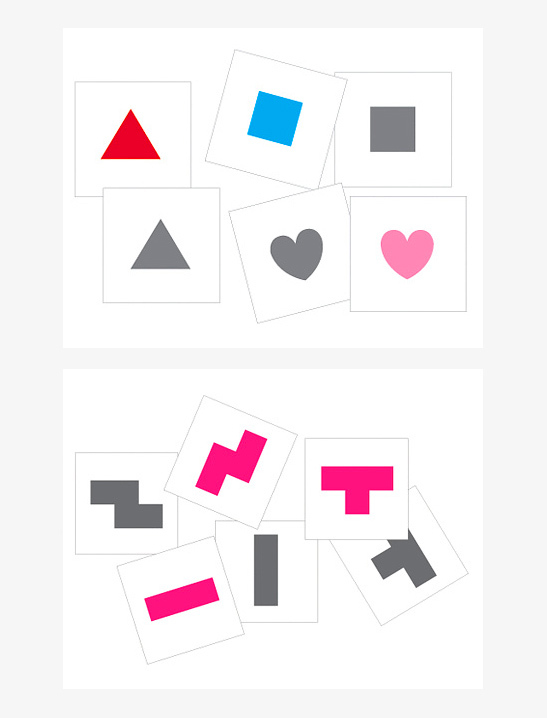 You can present each grey shape and children can find the same shape in color. 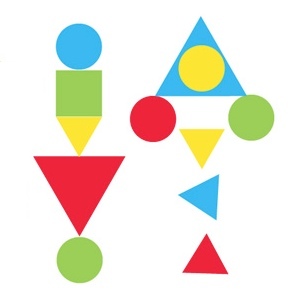 The shapes are basic and very different from each other. This is a more difficult set. 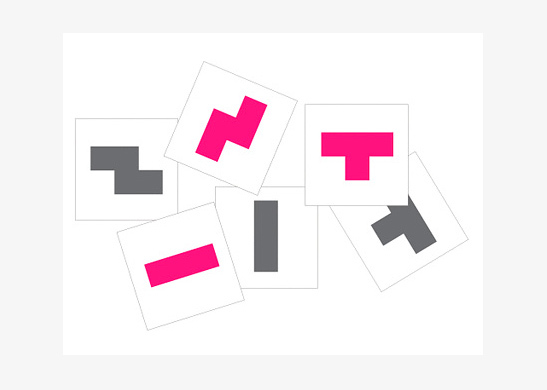 It has 6 different tetris-like shapes that are not familiar basic shapes. Children will need to think a little harder and often rotate the cards to check if they match.